Umm- can I say WOW, WOW, WOW! 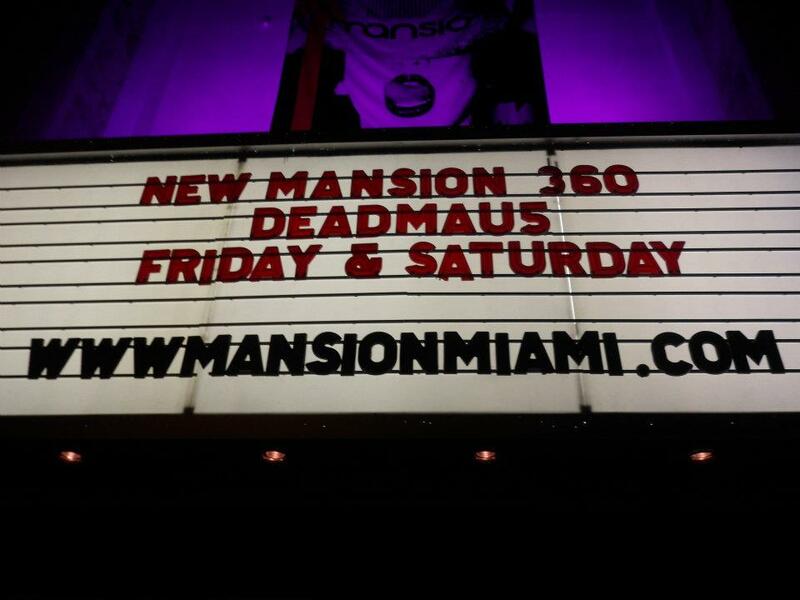 Mansion nightclub closed its’ doors for less then two weeks and re-opened with a sold-out, two night event with Deadmau5 as the headliner and was nothing short of A-MA-ZING! I scoped out the new Mansion 360 on Saturday night and I can honestly say that Mansion has made a comeback. The Opium Group spared no expense in the renovations that included all new LED lighting throughout the entire club, LED screens flanking the DJ booth, a whole new lighting system on the roof, and a state of the art sound system that will have your heart bumping to every beat. What I saw on Saturday was not just a DJ on stage doing his thing- it was a grand production! For those who have frequented Mansion over the years know that the iconic club was long overdue for a make-over and what a make-over it was. The club has stepped up its game and reclaimed its spot as one of the hottest clubs on South Beach- LIV and WALL beware. From the moment I stepped inside the doors I was in awe of all the changes. It literally was a 360 transformation. Where the DJ previously stood in front of the club has been replaced with what is now a platform that takes the DJ center stage into the crowd, making him a not just a DJ, but a master of ceremonies taking command of the entire club. The walls are now interlaced with LED strips that dance to the beat of the music that extend all the way to the roof- creating an entire show of lights. As one patron stated, “I was getting housed by all the pretty lights”- Hector Martinez. There were lasers beaming out from all over the club, midgets covered in silver dancing on tables, trapeze dancers flying high above dressed in nothing but silver shorts and tassles, and a guy in a robot costume covered with lights walking through the crowd. Every which way you looked there was something to please your auditory and visual senses. As for Deadmau5, he was INSANE! It was a remarkable show with no dull moments. The whole performance was packed with high-energy beats as the international superstar dropped some of his latest tracks like “Reward Is Cheese”, “Tiny Dancer”, and classics like the club anthem “Ghosts and Stuff”. The whole performance was spectacular.